Your Ballina home: Why get your roof painted? Ballina is today a well-established residential coastal area. Roof painting in Ballina is required more frequently than in some other areas as there is a lot of moisture in the air from being located so close to the South Pacifc Ocean. If your roof has already had to withstand a decade or two, or more, of harsh summers and wet seasons it might be time to look into house painting for your Ballina property. 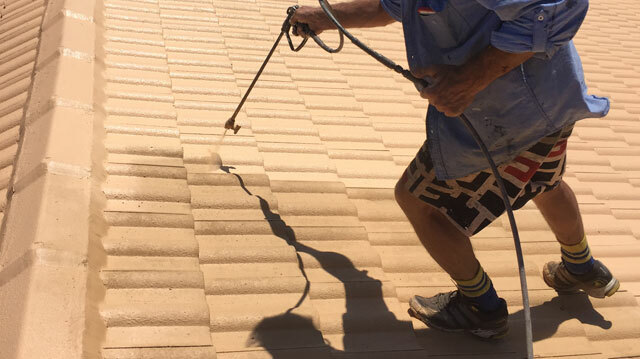 It’s important to hire a roof painter who knows what your roof requires; at Full Circle we use only the highest grade Australian made roof paints by Sun Tuff, Qld. Especially for the many tiled roof painting jobs that come-up in Ballina, if you’re attempting to re-coat your roof without the proper sealant, the paint applied won’t serve you as long as required.